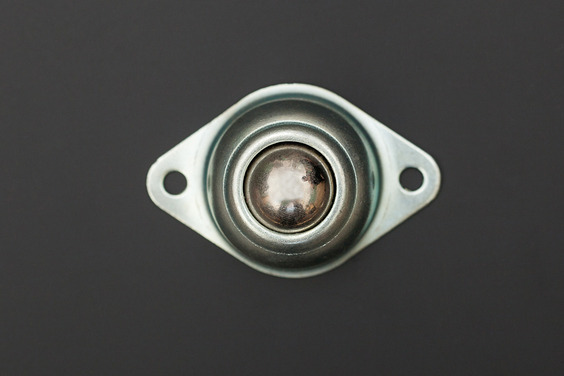 Metal ball caster, 1mm thick steel plate from the machine stamping, it has the capbility to support 15KG payload. The Caster is strong and lightweight. It has 20mm high round body, with a total weight of only 37g; and large steel ball around a small ball around as much as 40 to rotate the main scroll ball much more smoothly, which make the robot walk or move at a more flexible and comfortable way. Our popular 2WD Arduino robot Platform adapts this caster. You can buy this item using 150 reward points.